Dallas police have arrested a 15-year-old in connection with the slaying of a dollar store clerk killed in a robbery Monday. 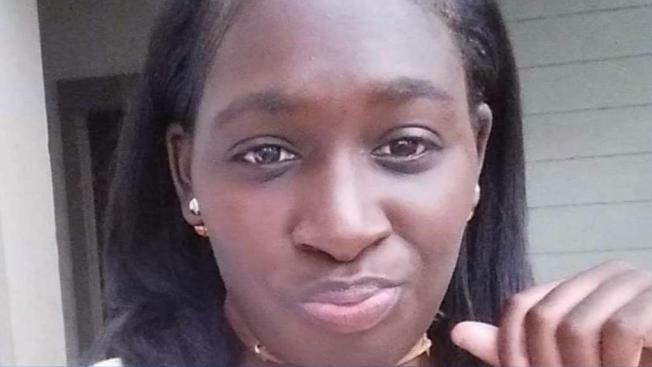 Gabrielle Monique Simmons, a 27-year-old mother of six, was working in the East Oak Cliff Dollar General store when a person walked in with a gun and demanded money. Police said surveillance video showed Simmons turning over the cash and then the robber shoot her in the chest. Police said Simmons was rushed to Baylor University Medical Center, where she died shortly after. Since the suspect is a juvenile, Dallas police will not reveal his name. They did say, however, that he was a person they've dealt with before on a family violence offense and that he'd been processed through the juvenile system before. The teenager was arrested Thursday afternoon by a U.S. Marshal's task force after a number of tips were received by the Dallas police. He was arrested without incident only blocks from the Dollar General store where the robbery and fatal shooting took place. On Wednesday, investigators released surveillance video of a second suspect in the robbery who may have been acting as a lookout. Dallas police revealed no other information Thursday regarding possible accomplices or what the teen may have said during a police interview. Police confirmed the investigation into the shooting is ongoing. Simmons' sister-in-law, Taiesha Parker, said Simmons and her family moved to North Texas from Mississippi last year for a better life and to give her kids more opportunity. "She didn't deserve it. She left behind a whole league of kids who just don't understand," Parker said. Parker said Simmons worked at the Dollar General because four of her six children, who range in age from 7-months-old to 11-years-old, attended school across the street. Simmons' fiance, Aris Joseph, said he plans to take the family back home to Mississippi. Funeral arrangements for Simmons are pending. Oak Farms Dairy announced Tuesday a $10,000 reward for information leading to an arrest and indictment of the killer. CrimeStoppers is also offering a reward of up to $5,000 for information leading to the arrest and indictment of the gunman. A GoFundMe page has been set up by Simmons' family to help cover funeral costs. Dallas Community Fellowship is also taking donations for the family. Monetary donations or items like food, diapers or toiletries can be dropped off at 3015 E. Ledbetter Street in Dallas. You can also call 972-464-7553 or 929-428-9366. NBC 5's Meredith Yeomans, Allie Spillyards, Holley Ford and Maria Santiago contributed to this report.